We’re going to Skokholm Island, which is Skomer Island’s sister island. Skomer hosts the biggest puffin colony in southern Britain AND a third of the world’s population of Manx Shearwaters during their breeding season. 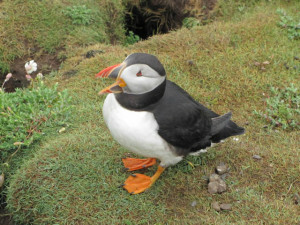 And, as you may recall, Stefano and I are hopping mad about puffins!!! We’ve been to Skomer a couple of times, but never to Skokholm, which has opened to the public only in the past couple of years and has more “primitive” living accommodations…no showers, etc. No Internet and no phone service, either. No technology…at all! And…no work!!! Anyway, I wanted to write a quick thingy for the blog, just to explain that I’ll be gone until the end of the month. It’s finally HOT in Florence…hot enough to use my ceiling fan in the study. 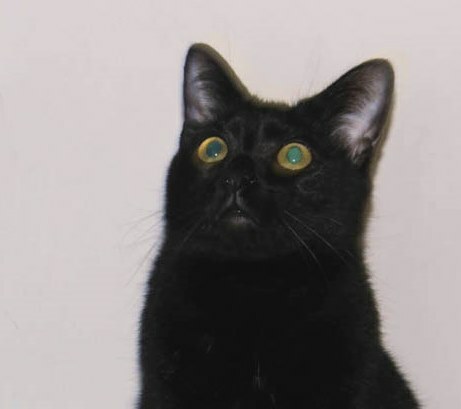 A couple of days ago I managed to take photos of the first time Prezzemolo (who is about a year old now, I guess) set eyes on a moving ceiling fan. A blog reader alerted me to a Japanese Alzheimer’s case study published in October 2012. Here is the link to the abstract in PubMed: http://goo.gl/66V82. I hadn’t come across it, since I don’t really monitor curcumin for anything other than myeloma, MGUS or SMM. But I thought it was extreeeeeeeeemely interesting and decided to post about it today. The full study, available for free online (just click here: http://goo.gl/mX5OQ), tells us that turmeric, not curcumin, was used in this study. The three Alzheimer’s patients involved in the study were given a daily dose of 764 mg of turmeric (= containing to 100 mg of curcumin, according to the authors). And even on such a tiny dose (of TURMERIC, to boot), the spice had a huge impact on their quality of life (QOL)…nothing short of amazing, in fact…For example, after a year of the turmeric treatment, they began to recognize family members…One woman started singing and laughing and knitting again…And so on. You can read the patients’ stories in the full study. Impressive! I do have a question, though: I wonder how much these (and other) patients would improve if they were given a higher dose of straight curcumin (not turmeric, i.e.)? Now that would be super interesting to know!!! I was going to post something about our weekend trip to the region to Umbria…with photos, glorious photos of beautiful places, but I just couldn’t pretend that everything is okay. No. It just isn’t right. When Stefano and I got home yesterday, I got some very bad news. Bad news for the myeloma community/family. Bad BAD news, period. But I wasn’t sure what to do with it, to be honest…should I post it here on the blog or not? What would she, a very private person, have wanted me to do? Well, this morning I decided to go ahead and post a tiny tribute…a tribute to my friend…a tribute to Hanna. She didn’t answer any further communications. And yesterday, when Stefano and I got home from Umbria, I read a message from her husband informing me (and the same few, as above) that she had died on June 7th. I’ve had some trouble accessing my blog in the past few days. In a nutshell, my “login” button hasn’t been working (and still doesn’t work, but I can login a different way now, phew). This happens from time to time but doesn’t worry me at all because I know that eventually the fabbbulous Healthblogs manager will fix the problem. As she did this time, too. But this delay has meant that I haven’t been able to post anything. 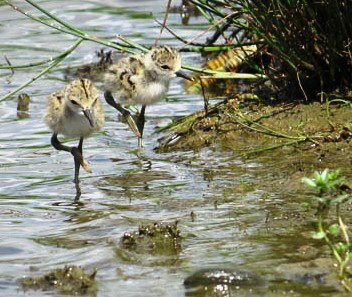 For example, I now have photos of the 2013 black-winged stilt chicks, the cutest fluffy little things I’ve ever seen (except for kittens, of course!). But right now I don’t have much time…so this is going to be quick. Tomorrow afternoon after work, we’re heading off on a long weekend (as usual, our lovely cat-maniac friend is moving into our house to take care of our cats for a few days). Anyway, I hope to take some great photos that I can post on the blog next week. I also have a couple of serious posts up my sleeve…I’ll try to finish editing one today and publish it later today or tomorrow.